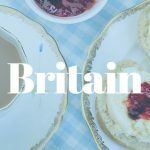 We British are known for being big fans of a good cup of English tea and here at AC Silver we know that silver enriches the taste of food and drink. Originally tea was reserved only for the upper classes in society due to its expense when imported into Europe from China in the late 17th century. Shortly after this time, silversmiths started to produce a wide range of silver teaware. We are lucky enough to have some finely crafted examples in our inventory. The predominant style of teapot in the early 18th century was melon shaped in form, supposedly taken from Chinese porcelain designs when tea was first imported. 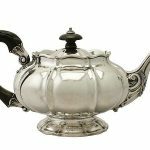 The first silver teapot was made around 1670 as a gift for the East India Company from George, Lord Berkley; the shape of which could be mistaken for a coffee pot. 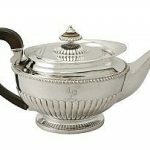 The only reason we can be sure it was intended to be used for tea is inscription: “This silver tea Pott was presented to the Comttee of the East India Company. (Read more about the history of the teapot here). As time went on the classic pear and bullet shaped teapots came into existence. We have an exceptional example here in our inventory: an early Georgian sterling silver bullet shaped teapot crafted by Bowles Nash in 1721. 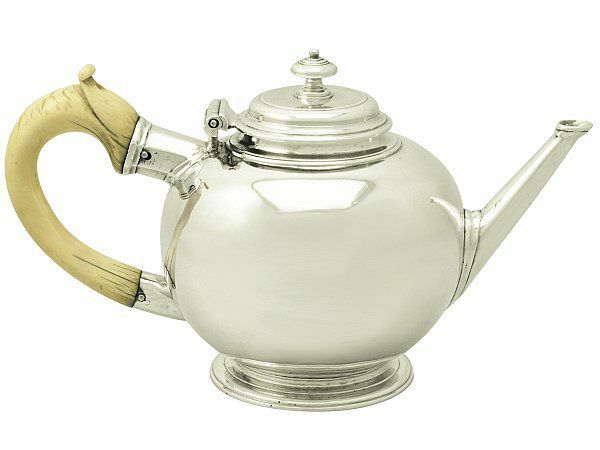 This teapot features a carved ivory C scroll handle- a popular design at that time. When looking at silverware from different eras it is interesting to see how designs have been influenced. For example, our antique George I Britannia tea caddy made in 1714 looks like it could have been influenced by Chinese designs but without the heavy ornamentation. 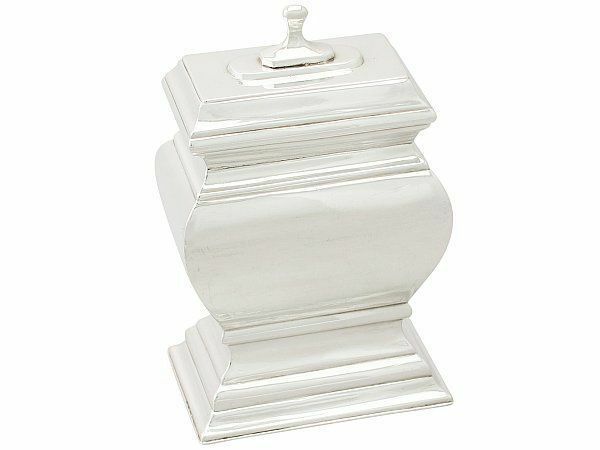 The plain rectangular, rounded, waisted form tea caddies were favoured at this period of time. 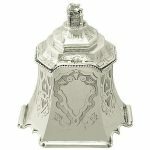 This particular example was crafted by the London silversmith Ebenezer Roe. Such impressive early Georgian original tea caddies are becoming increasingly scarce. The famous painting, Afternoon Tea by William Henry Margetson (pictured left) shows us what type of silver was traditionally used for classic afternoon tea. The painting depicts a tea service in the centre of the table, complete with teapot, cream jug and sugar bowl. Silver teaware does bring a sense of true class to afternoon tea. Early 18th century, tea services were assembled randomly, as can be seen from a classic example in AC Silver’s inventory (pictured below). 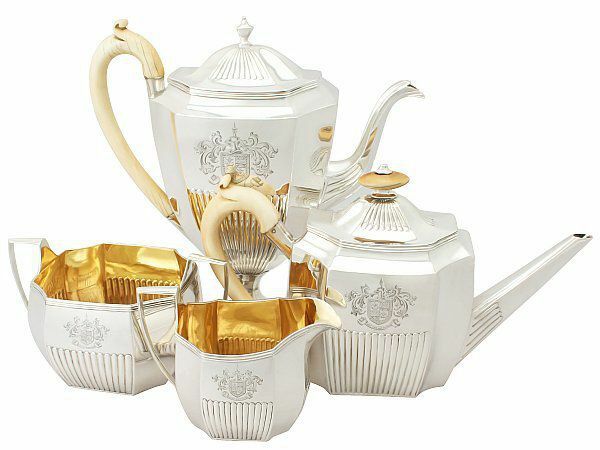 Our antique sterling silver four piece tea service is dated at 1800-1802 and has various makers. Granted these pieces look as if they are an intentional set as they have been expertly sourced to create as close a matching set as possible. Complete sets by the same maker and dates are rare and difficult to come by. This service has all of the important vessels needed for afternoon tea: the teapot, coffee pot, sugar bowl and cream jug. The cream jug from this set isn’t the earliest style; this was the pitcher shaped jug. The coffee pot could have also been used as a chocolate pot, seeing as the finial can be removed to allow a stirrer to be inserted (the chocolate back then didn’t dissolve on its own). Again, when looking at dates of certain pieces we can see the shapes evolve in relation to different reigns and the fashions of each period (i.e. from plain to ornamented, tapering to waisted). A fine tea service such as the one pictured above would also come on a service tray, typically of oval form. You would of course also have teaspoons for the occasion (Hanoverian pattern teaspoons were very in fashion). It was the change in industrialisation and the growth of the middle classes led to the Victorian era creating the table spoon, serving spoon and the simple teaspoon. Later designs of these items were crafted with pointed terminals which were presumably used to clear the tea strainer. This leads us to another addition of silverware at the table. Depending on the date, the tea service might have also included a mote spoon or a tea strainer. Today if we are going to make traditional afternoon tea with cups and saucers we would put our spoons on the side of the saucer once our tea was made to our liking. However, that was not done in the 18th century; teaspoons were instead rested in a spoon tray. 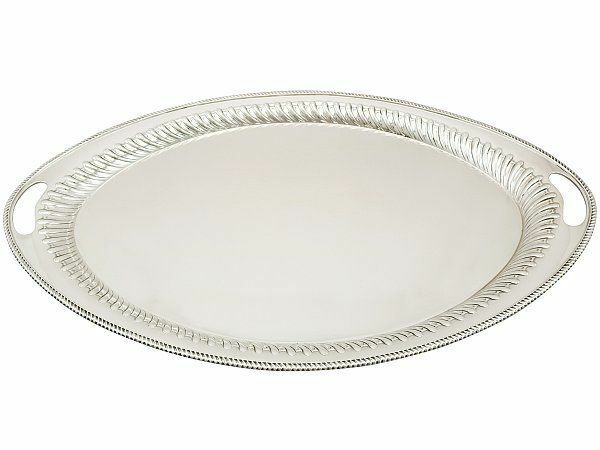 If there was no specific tray provided for this use, the lid of a sugar bowl would often be used instead. So in fact some silver teaware had dual uses at the afternoon table. 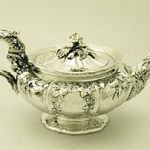 There’s no mistaking that silver tea drinking is still as a fine an affair as it was in the 18th century!